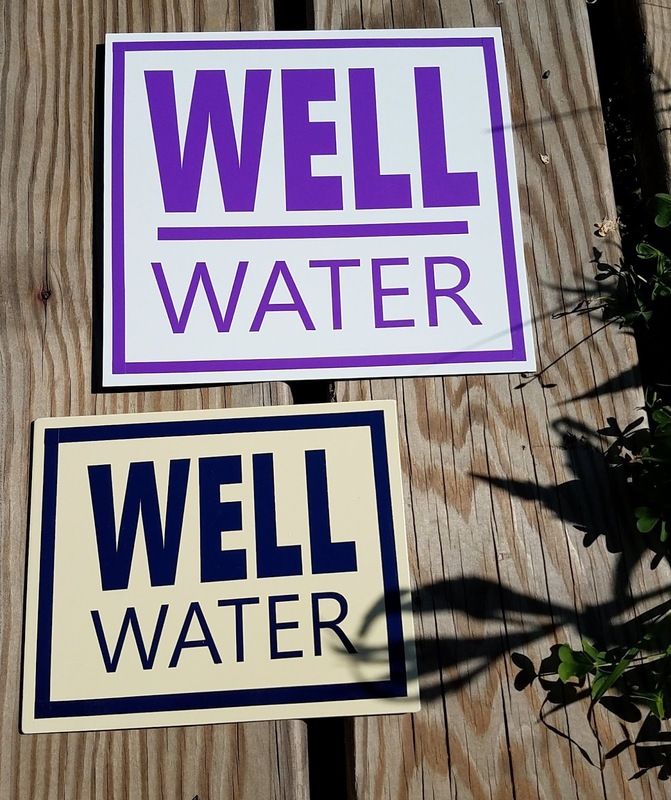 Well Water sign stock is getting a bit thin in the text-only style. We're re-upping today with a navy-blue-on-beige and a purple-on-white. Because who doesn't like purple? (well, us, but there are those of you who loves some purple in the garden and we're accommodating sorts of folks). Head over to our Etsy store to see all available options.